You are inextricably linked to my past, uncomfortably tied to my heart, and unpleasantly weaved into what used to be. I close my eyes, but there are reminders everywhere. A friend points to her stomach and says she's getting fat. Her voice begins to fade as I remember. 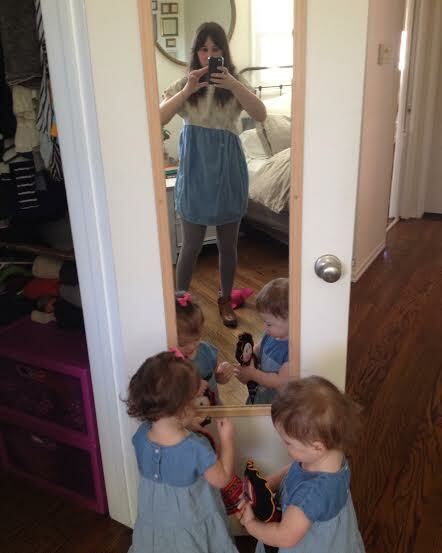 I spend a few too many minutes looking at my reflection, trying on clothes, fussing with my hair. I walk away as I begin to remember. Old pictures resurface making your history permanent and undeniable. I am forced down an old familiar path as I remember. A conversation brings up huge gaps in time and thoughts of wasted moments creep into my heart. I feel disappointed as I remember. I glance at a serving suggestion thinking about that imposed direction, instruction, and restriction. I look away and I remember. With all of these things, I fall suddenly and briefly into the past. You drag me back in time, as a reminder I think, of what used to be. Of what could've been. Of everything I have become. Of why I must keep working. I can cross out words, toss out memories, delete pictures, and move forward. But I can't erase you. You sit there, always. Occupying a profound space in my existence. And so I wave to you. A nod, an acknowledgement, an awareness. And as a tribute, I will stand in front of the mirror. I will twirl in my dress, and with my daughters at my side I will say, "I feel so beautiful today," and I will mean it. I can't erase you, but I can wipe away at the memories of you until they are a blurry reminder of what used to be. I can teach my daughters about loving their bodies, about enjoying food, about enriching their souls, and about following their passions. I can help others escape you. I can keep others from falling into your deceiving arms. So don't worry your pretty little heart, eating disorder. I can't erase you. But I can overcome you. Research shows the midlife crisis is largely fiction. People in their 20s and 30s are more likely to experience the kind of "crisis" associated with middle age. Only an estimated 10% of middle-aged people have the classic midlife crisis.